If you’re like most people, a new year means new resolutions. If one of your New Year’s resolutions was to improve your health, we encourage you to contact Dr. Luciano about his leading concierge medicine services in Newtown. Read on to learn three of the best ways to start 2018 off right and get on the path to a healthier you. Take a serious look at your weight. 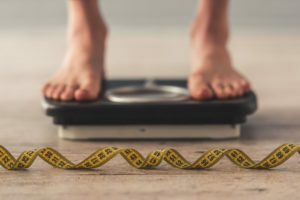 Though most Americans are overweight or obese, current research suggests that most don’t perceive themselves as medically overweight. The CDC has found that though 7-in-10 Americans are above a safe weight for their height, only 36% believe that they need to lose weight. Use an online BMI calculator to see if you are overweight, and allow Dr. Luciano’s concierge practice help you formulate a plan to get your weight into a healthy range. Find a workout you love. Even if you aren’t looking to lose weight, you should be getting your heart pumping for at least 30 minutes a day. It is crucial to maintain a level of overall health and instrumental in lowering your risk for cardiovascular disease. From walking outside to taking fun group exercise classes, there is something for everyone when it comes to cardio. Work with a doctor who values you. If you’re sick of waiting weeks or even months for your medical appointments and tests, switching to concierge medicine in Bucks County provided by Dr. Luciano is the best way to ensure faster access to the medical care that you need. With unlimited access to your doctor via text, cell phone, Skype and a more personal approach to healthcare, switching to concierge medicine can help you reach your goals faster. Dr. Luciano is preparing for a busy 2018. He is ready to help give you the personal attention and advice that you need to make 2018 your healthiest year yet! Give us a call today at (215) 515-8242.